At Palmer family Christmas dinners, we have a habit of burning the dessert. 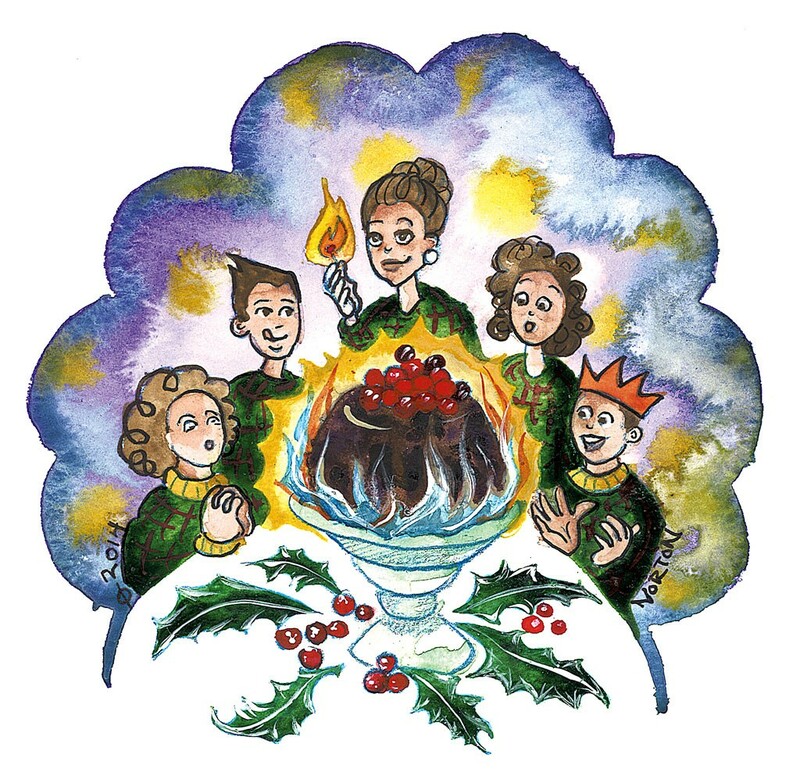 By the time the plum pudding rolls around, we're all jolly, stuffed and drunk — on both liquor and holiday cheer. Inevitably, someone — usually our supper host — kills the lights, douses the dessert in brandy and touches it with a match. Slowly, a flickering blue flame consumes the inky-black mound on the platter. Aromas of dark, burning sugar, caramelized fruits and spice fill the room. After a brief minute or two, the fire falters and fades. As a girl, I always wanted more: "Again! Do it again!" I would beg my grandfather. We cut the soft, crumbly cake into slivers and pass around two dishes of sauces: a stiff, cold confection made of butter and powdered sugar; and a foamy one, made with the same ingredients, but warm and light with egg whisked in. The sauces soften the impact of the pudding itself. 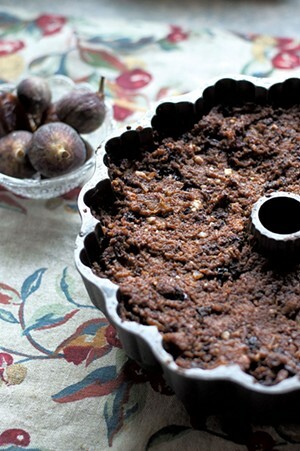 Plum pudding — also known as Christmas pudding — is a Victorian English treat with roots in medieval times, maybe earlier. 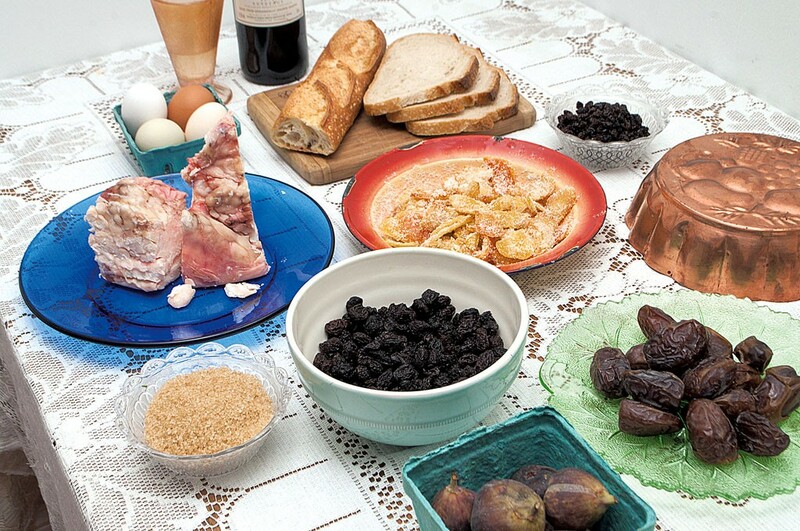 Made with beef suet, spices, brandy and wine, and preserved fruits — candied rinds of citrus, along with dates, figs, dried currants and raisins — it's the heaviest, richest dish of a heavy, rich meal. Also, it's sorely misnamed: There are no plums in plum pudding. My great-grandfather brought the recipe with him from England, and my family has served it at Christmastime ever since. It's one of the only English things we do. I'm convinced that, as children, my cousins and I loved the dessert not for the taste (except for those sweet, buttery sauces) but because we'd just seen it burn. Still warm from the flames, it offered thrilling proximity to danger. See, this is not a pleasant pudding. For its raw ingredients to become palatable, it must steam for hours, then age for weeks or months. Even then, it's not suitable for vegetarians, people with high cholesterol, pregnant women, infants or, generally speaking, children. Last week, I discovered that making the stuff is also a major undertaking. It's a dish for folks who can spare most of a day for cooking, and who own special pudding molds and large pots to steam them in. It's for people who aren't concerned for their gas bill, too, as it must boil on the stove top nearly all day. But, for nose-to-tail devotees, the chance to cook with raw beef suet has its charms. And on what other occasion do we steam a pre-Renaissance dish through the afternoon and into the night, then let it age for weeks or months? Honestly, I'm not quite sure what compelled me to make plum pudding. Maybe moving back home to Vermont and spending time with family has kindled my interest in tradition. Or maybe writing weekly Farmers Market Kitchen posts for Seven Days' Bite Club blog has inspired me to tackle dishes I normally wouldn't touch. Whatever the reason, this year I took the plum pudding challenge. One problem: I didn't have a mold, and it's not the kind of thing you can just find anywhere. You need to happen upon one in a thrift shop or specialty kitchen store (none of Burlington's cookware shops had any), or find one on eBay. With no time for internet shipping, I ended up touring the Queen City's finest thrift and junk shops, hoping I'd find a worthy vessel. Engineering such serendipity is unreliable at best. My travels took me from the Old North End, where Junktiques produced an old copper jelly mold (too small), to the far reaches of the South End Arts District. Along the way, Christmas trees twinkled and carols jingled as merchants tried to meet my query. "Do you have any pudding molds?" I asked, again and again. "A pudding mold?" repeated one shopkeeper, eyeing me quizzically. "No," he said finally. "But that's a legitimate question." But at Vintage Inspired Lifestyle Marketplace on Flynn Avenue, owner Mary Heinrich Aloi had what I needed. "Yes, actually, I just saw one this morning," she said. "But where was it?" She disappeared, returning moments later holding a footed copper bowl with a small loop at the top. It was too big for my stockpot, but she had others, and eventually we found the right thing. It was a little small, but was clean and pretty with a fruit pattern on top, and I knew I could make it work along with another I had at home. I brought it to the register. "What are you going to use it for?" asked another salesclerk. "I'm making a plum pudding," I said. "Oh, really? We used to have that every year as kids," she said, explaining that she was from England, where the dessert is still a fairly common tradition. "We didn't have a choice. It was one of those desserts you had to have," she continued. "It was so rich I could only eat, like, one spoonful." I hurried home and got to work. I peeled the citrus and candied the rinds; measured and mixed spices, salt and sugars; chopped the fruits and blended them into a stiff paste, all while snacking on the extra dates and figs. I processed the suet, picking out bits of gristle. As dusk fell, I broke the bread into tiny pieces, scalded the milk and beat the eggs to a foamy froth, adding a bit of brandy and wine. I set the stockpot on the stove to boil with a steamer in the bottom. Then I poured myself a sip of brandy and a glass of wine and mixed the ingredients together in the largest bowl I own. I filled the molds with batter and placed them into the pot to steam. 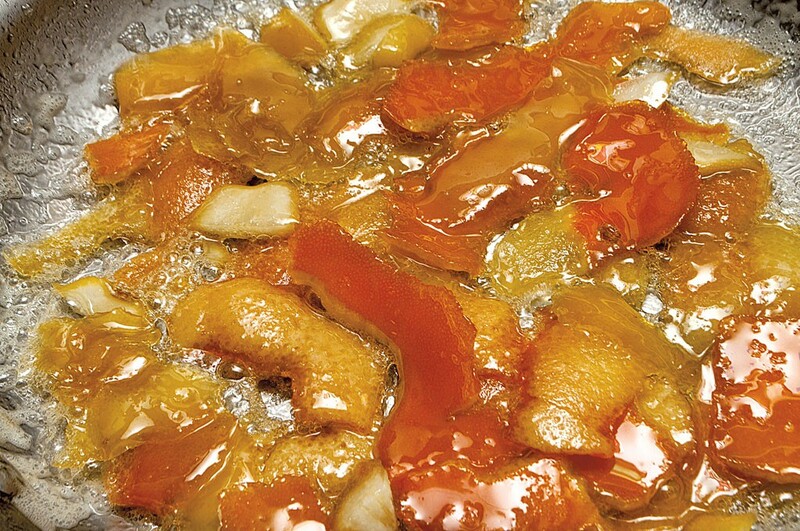 For the next six hours — until well after midnight — my house slowly filled with the warm scent of sugars, caramelizing with fruit and spice, saturated in slow-rendering, sweet tallow. I left it out to cool overnight, and in the morning wrapped it in wax paper, tied it with a red ribbon and stowed it away to age. There it will enjoy a sweet slumber until, on Christmas Day, it meets its fiery end. Inspect the currants and raisins and remove any stems or other debris. Dice the fruits and rind and blend them together with a spatula. Set aside. Chop the suet in a food processor until it is broken into pea-size pebbles or smaller. Remove any connective tissue. Crumble the bread into small pieces in a large bowl. Mix the salt, spices and sugar together, and sprinkle over the bread. Stir thoroughly. Scald the milk (heat until a film forms on top but the milk is not boiling). Stir it into the bread mixture until the liquid is fully incorporated. In a separate bowl, beat the eggs until they're light and airy, then fold them into the bread mixture. Add the fruit, suet, wine and brandy, and mix thoroughly. Pour the batter into a large (1 1/2 quart), ungreased pudding mold (or deep cake/Bundt pan) and cover securely with a lid, foil or wax paper. Place a steamer or rack in the bottom of a large roasting pan or stockpot. Place the covered mold on top and fill the large pan with water until 2/3 of the mold is submerged. Bring water to a boil and steam, adding more water as needed, for five to six hours. Age in a cool, dark place for at least two weeks and up to several months. When you are ready to serve the pudding, steam for another hour in the same manner as before. Let rest for 15 minutes and carefully remove the pudding from the mold. Sprinkle with granulated sugar and flambé with brandy or whiskey (at least 80 proof). Light the pudding with a match and allow it to burn out completely before attempting to serve. Serve immediately, with both hard and foamy sauces. Cream 1/3 cup butter until soft. Work in 1 cup of confectioner's sugar and 1 teaspoon of vanilla extract (or 2 tablespoons brandy) and blend until smooth. Cool until the mixture stiffens, and serve cold with the hot pudding. Cream 1/2 cup butter until soft. Work in 1 cup of confectioner's sugar and blend until smooth. In a separate bowl, beat 1 egg until creamy. Stir the egg and 1 teaspoon of vanilla extract (or 2 tablespoons sherry) into the butter mixture. Heat over a double boiler, stirring constantly, until the sauce is warm and thick as heavy cream. Serve warm with the hot pudding. The original print version of this article was headlined "Fire and Spice"